Sailor Jack is always hankering for shore when he is at sea, but when he is “outward bound”–that is, when his money is all gone — he is like a cat in the rain there. So as MY money was all gone, I was hungry for a ship; and when a long, keen-looking man with a goat-like beard, and mouth stained with dry tobacco-juice, hailed me one afternoon at the street-corner, I answered very promptly, scenting a berth. “Lookin’ fer a ship, stranger?” said he. “Yes; do you want a hand?” said I, anxiously. He made a funny little sound something like a pony’s whinny, then answered, “Wall, I should surmise that I want between fifty and sixty hands, ef yew kin lay me onto ’em; but, kem along, every dreep’s a drop, an’ yew seem likely enough.” With that he turned and led the way until we reached a building around which were gathered one of the most nondescript crowds I had ever seen. There certainly did not appear to be a sailor among them. 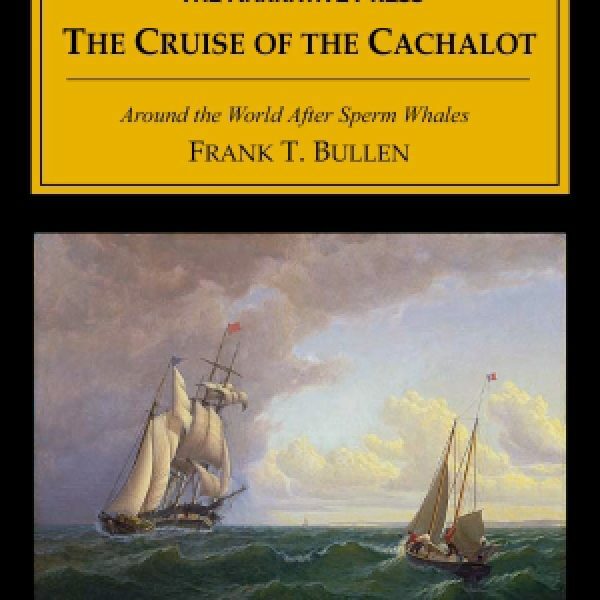 Bullen was right about the lack of sailors among the would-be crew: farmers, bakers, and draymen ship out with the Portuguese Canary Islanders already aboard. Bullen was a sailor however, and soon won the approval of the black fourth-mate. 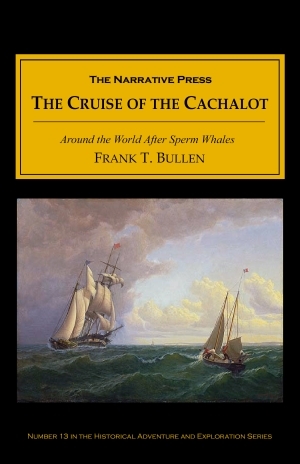 The Cachalot (or “big head,” another term for “sperm whale”) got under way quickly so that the men could not jump ship and swim for shore — whalers were considered a “sailor’s horror.” Bullen would remain aboard for three years, never quite sure where the captain might be taking them in the chase. 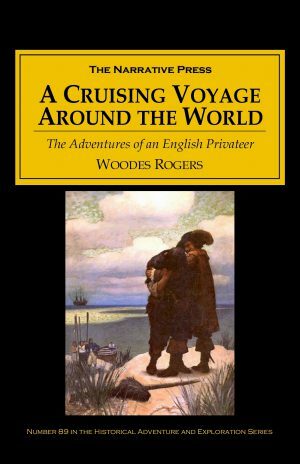 They ended up circumnavigating the globe. The ship’s first captain was a grim despot, the crew inexperienced, and the weather unpredictable: storms aboard ship as well as storms at sea were plentiful. Some of the ports they entered were friendly, but others were decidedly not; the men almost lost their whale to Chinese pirates in the Hong Kong harbor. Bullen himself becomes fourth mate under tragic circumstances. But they visit idyllic ports as well, and with a change of captains the ship life improves noticeably. Bullen tells a tale that can’t be beat for an authentic voice, one of great human as well as historical interest. “Sailor Jack” or not, you’ll find this graphic story captivating.